This guy wasn’t $hit canned fast enough. $40 billion dollars, (“the most money that’s been put on the table for green energy technology and green jobs in the history of humanity”) down the rat hole. “That’s already done” Jones assures his audience. Another great find from Pam Key of Naked Emperor News, posted at The Blaze. Keep in mind these are Nice Deb’s top posts – not the top stories of the year by a long shot, as you will soon see. These are simply the posts that brought in the most traffic, here, for whatever reason – *cough* big blogs linked *cough*. So thanks to Michelle Malkin, Ace of Spades, Hot Air, Doug Ross, NRO, and even Instapundit in one case (he usually shuns me), and a slew of smaller blogs, these posts turned out to be my biggest hits of the year. Remember the excitement and high hopes we had for Scott Brown when it was dawning on everybody that he had a real chance of beating the supposed shoo-in, hapless Martha Coakley? Even though he didn’t turn out to be the conservative hero activists were hoping for, the fact that a Republican took Teddy Kennedy’s seat in one of the bluest states in the union, in a year when Dems were trying to pass ObamaCare in his loving memory…. is still pretty damn sweet. I knew for weeks before the event, that the moonbat convergence known as the One Nation Rally was going to be a huge boon for conservative blogs. All one had to do was look at the list of sponsoring organizations to know that it was going to be a debacle. It was, as numerous videos and photos could attest. Socialist group-thinkers, hippies, moochers, Islamists, union drones, and no-accounts showed up, and proudly displayed their true colors for all to see. And then they left behind a depressingly predictable huge pile of trash, which was also recorded for posterity. I think a lot of people were in shock over the strikingly unpresidential tone Obama took in his defiant and demagogic State Of The Union address, and wanted to savor the Hammer’s delicious smackdown.. The won’s swipe at the Supreme Court had lasting ramifications, too, with Alito, and Roberts reportedly planning to sit the next one out. Oh, and we can stop waiting for Obama to “pivot”, already. It. ain’t. gonna. happen. Linked by Michelle Malkin, Ace o Spades, and Doug Ross. Oh yes. Jason Levin was a big hit magnet, last Spring. What kind of person initiates a covert operation like Crash the Tea Party, by starting a website called “Crash the Tea Party” on the world wide web for everyone to see? Tea partiers were ready for Levin and his fellow moonbats, and their (unintentionally) comical efforts flopped big time, but that didn’t stop him from continuing his online buffoonery, as this story proves. At some point, I started to suspect that Levin was some kind of Republican plant, put out there to make lefties look ridiculous (as if they needed any help). But he lost his teaching job over the whole deal. Linked by Hot, Air Headlines, and Mary Katherine Ham at the Weekly Standard Blog. Incidentally, Patches leaving office, next week marks the first time in 63 years there won’t be a Kennedy serving in elected office in Washington. Linked by BFH at iOWNTHEWORLD, and Thomas Lifson at The American Thinker, thanks! outside a movie theater in Bradenton, Fla., by a group of unruly teenagers (FoxNews.com). A Marine and his wife thought they they were going to have a nice date night at the movies. But all hell broke loose when Freire had the temerity to ask the loud and disruptive teens to settle down and and have some respect for the rest of the audience. Freire said that when the disturbance escalated and the group began cursing, his wife called the manager, who asked several of the teenagers to leave the theater. The couple said they thought the fracas was over until they walked out of the theater and were assaulted by a mob of menacing teenagers. Freire said he was kicked and punched as he and his wife tried to run from the group. Freire said one bystander stepped forward and told the couple to follow him to his car, saying he could scare the crowd off with a gun. But before the two reached the man’s vehicle, one of the teenagers said, “I’m going to knock your wife out,” before punching Freire’s wife to the ground, the couple said. Deputies from the Manatee County Sheriff’s Department responded to the scene and arrested two 15-year-old brothers and charged them with misdemeanor battery. According to a police report, three others — 16-year-old Ishmael Dunbar, 17-year-old Reginald Gardner and 20-year-old Destiny McNeil — were arrested and charged with felony battery on a law enforcement officer and trespassing. “All available units were requested to respond to disperse the crowd for officer safety and to restore order,” the police report said. One teenager was stunned by a Taser. What’s he fighting for, he asks. Incidentally, Freire told FoxNews.com that reports that he was home on leave from Afghanistan were incorrect, and that he had served a combat tour in Iraq and currently was stationed at Camp Pendleton, Calif. I know just what my mother would say about this… “Were these kids brought up in a barn?” What kind of parent brings up their children to act like wild animals in public? Nice job, Destiny. You and your thug friends were going to ambush a white woman (probably half your size) because she had you (or your friends) thrown out of the movie theater for being loud and obnoxious while people were trying to watch the movie. Do you not understand that disruptive theatergoers deserve to be thrown out? That that alone was enough to be ashamed and embarrassed about, but you couldn’t leave well enough alone, and had to degrade yourself further? Do you realize you and your friends have validated every negative stereotype white people have about black youths by your disgusting behavior? You should read some of the comments I’ve been reading where this story has been posted. You’re a real credit to your race, Destiny. A 14-year-old girl who was told to be quiet by a Marine and his wife on Christmas at a local theater during a movie has filed a battery complaint with the Manatee County Sheriff’s Office. But the sheriff’s office will not pursue the complaint, saying there were inconsistencies in the girl’s statement and that the case is closed. “We investigated the complaint and there isn’t even enough there to send to the State Attorney’s Office,” said sheriff’s office spokesman Dave Bristow. Her story is that Freire, who was surrounded by 100 hostile teens outside the movie theater, somehow started the fight by punching her in the lip, or something…her story is inconsistent. And as the deputy noted in his report, there was no bruising on her lip when the report was filed Tuesday. Bristow said the girl’s complaint will be closed out. Bristow also noted that there were a total of 10 moviegoers from the theater that night who complained about the group of teens. Collins’ father, Leon Collins, said he plans to file a complaint with Florida Department of Law Enforcement and plans to schedule a rally at the sheriff’s office. As deputies were investigating, the manager of the theater asked anyone without a ticket to leave. When a deputy asked 16-year-old Ishmael Dunbar to leave several times, the teenager refused and struck the deputy, according to the sheriff’s office. 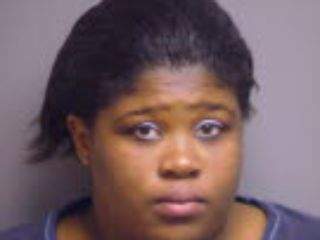 At one point, Destiny McNeil, 20, a relative of Dunbar, attempted to intervene in the arrest and was arrested herself, the release said. She was charged with resisting arrest without violence and was released from Manatee County jail Sunday on a $750 bond. Reginald Gardner, 17, also hit the same deputy in the arm and resisted arrest after he was asked to leave the area. Gardner was stunned in the chest with a Taser by a deputy. Both Gardner and Dunbar were charged with battery on a law enforcement officer. The names of 15-year-old twin brothers who were charged with misdemeanor battery for striking the couple were not released. Details of misdemeanor arrests for juveniles are not public record under Florida law. Near the end of the incident, there were about 300 people milling around, according to authorities. All available deputies were asked to come to the theater to help restore order, the release said. The manager then shut down the location. A manager at the theater said thousands of dollars in refunds were given to patrons. Normally, one to two off-duty law enforcement officers from state agencies are hired to work security on weekends. On Christmas night, no one was available, according to theater management. Is It Time To Use The “T” Word To Describe The Obama Administration? Is it time to start openly describing this administration, as tyrannical? I’ve been calling Obama and his left-wing allies in Congress Democrat Socialists for two years, now, (because that is what so many of them are), but this is something altogether different. It’s a stronger, harsher word that conjures up images of leftist dictators like Hugo Chavez and Fidel Castro. But, what else do you call it when the administration flouts the will of Congress, the courts, and the American people to impose its far-left agenda through arbitrary regulation? What other name is there for it? Written into the Declaration of Independence is a simple imperative, “Governments are instituted among men, deriving their just powers from the consent of the governed.” Our nation was built on this concept, but the Obama administration is using its power to write regulation to circumvent the will of the people and advance its own agenda. Three recent examples of this over reach are shocking and all Americans should demand an end to the practice and a reversal of what has already been done. Citizens need to think, whether they agree with the reasons for the circumvention or not, about what is at stake. Using regulation to specifically subjugate the will of the people to the agenda of any president is nothing less than tyranny. The three examples he cites are the return of the mandate for end-of-life planning, aka “death panels”, the FCC “Net Neutrality” power grab, and the EPA’s move to regulate carbon dioxide. The process used by Obama and Kathleen Sebelius to get this into ObamaCare is more disturbing, and in a very specific way. Congress made it clear that it didn’t want this incentive as part of the new law. However, thanks to the miles and miles of ambiguity in the final version of ObamaCare, with its repetitive the Secretary shall determine language, Congress has more or less passed a blank check for regulatory growth to Obama and Sebelius. This is just the opening gambit of a strategy Obama will use throughout the coming year in order to achieve through regulation what a Democrat-run Congress could not deliver through legislation. The new Republican House will have to use its power of the purse to stop this autocratic imposition of regulation, and remain vigilant in doing so on all fronts. Let’s hope the GOP gets used to fighting this process over the next two years. The FCC starts out by proclaiming that its net neutrality rules are just meant to ensure equal access by all to the Web. But as George Orwell showed us, that is how socialism started out too, until we later discovered that some were more equal than others. Once the founding principle is laid for government regulation and control, then that power can be used to regulate and control access to the Internet “in the public interest.” In English translation, that means in the special interest of the Ruling Class. There are precedents in China and Iran for how that has worked out in practice. Nothing is broken and needs fixing, however. The Internet has been open and freedom-enhancing since it was spun off from a government research project in the early 1990s. Its nature as a diffuse and dynamic global network of networks defies top-down authority. Ample laws to protect consumers already exist. Furthermore, the Obama Justice Department and the European Commission both decided this year that net neutrality regulation was unnecessary and might deter investment in next-generation Internet technology and infrastructure. But what I have learned in life is that when something doesn’t make sense, that means there is something else behind it that people are trying to hide. And that is exactly what we have here. For what is behind the FCC’s net neutrality crusade is reflected by an organization calling itself Free Press. That is an Orwellian title in this case, because what Free Press is for is the opposite of a free press. Free Press is one of those pseudo-Marxist front groups that Barack Obama has always traveled with so easily throughout his life. It is a grown-up, slick, sophisticated version of those campus radicals who shout down college speakers with whom they don’t agree. Always look behind the curtain, instead of listening to what leftists say. That’s how you discover the true motives behind their policies. Perhaps the most dangerous use of regulatory power hanging over the American people is the judicially extended powers of the Environmental Protection Agency (“EPA”) to regulate specific greenhouse gases, including carbon dioxide, as pollutants under the forty year old Clean Air Act. The Clean Air Act was originally written to regulate air pollutants, not something that is ever present in the air – and certainly not something that is part of life itself! The Supreme Court made the ruling in April of 2007 in the case The State of Massachusetts v. the Environmental Protection Agency but little has been done since. However, with the support of the Obama administration, the EPA is now ready to regulate carbon dioxide. The Clean Air Act, as it is now written, requires that any source that emits more than 250 tons of carbon dioxide per year be required to capture those emissions. That threshold is so low that not only would it impose higher costs on power plants and refineries, but also farms, rural schools and hospitals. If the EPA is allowed to follow through on using the Clean Air Act to regulate carbon dioxide, Washington D.C. bureaucrats will have more control over the lives of citizens and their businesses than the citizens themselves. New legislation is already being drafted by Republicans to stop the EPA from imposing cap and trade on its own. I have suggested before that one of the reasons to vote Republican for President is that Republican Presidents are subject to the rule of law, a principle established in the early 1970s. But Democrat Presidents are not subject to the rule of law, a principle established in the late 1990s. Democrat Presidents are free in our system of government to flout the law with impunity. The Republicans in Congress will have to be on its toes for the next couple of years finding ways to combat all of the abusive new regulations that come our way…let’s hope and pray they are up to the challenge. If you want to know what’s really in the minds of leftists, pay attention to what they accuse their opponents of. 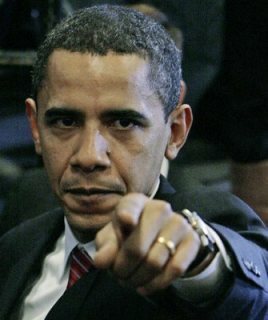 So far, all commenters answer my question with a resounding, YES, it’s time (or well past time) to call Obama a tyrant. Linked by Doug Ross, and Infidel Bloggers, thanks! Hey, remember those creepy reports of severed feet washing ashore the coast of British Columbia, starting in August 2007 and continuing through 2008? I hadn’t heard of any more cases, so I had assumed that the findings had ceased. I was wrong. There was one severed foot found in (Oct.) 2009, and two more this year, one in August, and the latest one on the 14th of December, bringing the total to ten. Police in Tacoma, Washington say the latest foot discovery could possibly belong to a child. A woman who has been following the case since the first severed foot was discovered, is preparing to publish a book titled, Someone Else’s Shoes with her own theory of where the feet are coming from. Could the Canada Bus Slayer And The Floating, Severed Feet Be Related? What the freak? Is he talking about building alliances with our enemies, and securing raw materials to over-throw America? Is that what I just heard, there? Incidentally, the name, Malik Shabazz, has shown up on the White House Visitors log, although the White House denies that one is the New Black Panther, Shabazz – because as you know, “Malik Shabazz” is such a common name.